Ulm, Baden-Württemberg (13.09.2017) – Prospitalia GmbH, Germany’s leading hospital group purchasing organisation (GPO), announced today the acquisition of the UK company Healthlogistics.co.uk Limited, located in Tring, Hertfordshire, UK. Healthlogistics provides information and data management software and services for surgical and critical care environments within hospitals. The solutions enable point of care data capture which is considered the holy grail for improved clinical performance, as well as enabling other key processes such as eProcurement, material management and procedure-level costing. This provides a range of benefits that help hospitals to save money, boost revenue and improve patient safety. Through their subsidiaries, hTrak Europe Limited and hTrak Pty Limited located in Melbourne, Australia, Healthlogistics have implemented their wide range of services successfully across Europe and internationally. Established in 2002, hTrak is a Healthcare information management system that uses mobile technology and cloud based systems, to capture information at the point of care, thereby providing reliable and accurate information to managers and clinicians. hTrak solutions are used in surgical and critical care environments, e.g. operating theatres, cath labs, day surgery, endoscopy, medical imaging and ICU. hTrak is the “bridge” that connects the clinical front line with the administrative and business functions of the hospital. All hTrak solutions operate in a Software as a Service (SaaS) environment. This makes it possible to pass on the efficiencies associated with the centralized management of information such as manufacturers’ product master data (such as implantable devices and other consumables). This approach normalizes mission critical data, improving efficiency and improving data collection compliance. As the leading hospital group purchasing organization in the German health care market, Prospitalia is offering their affiliated institutions a wide range of services. Negotiating prices with industry partners is the core service but is supplemented with consulting services and efficiency analyses applicable to all different hospital departments and areas. 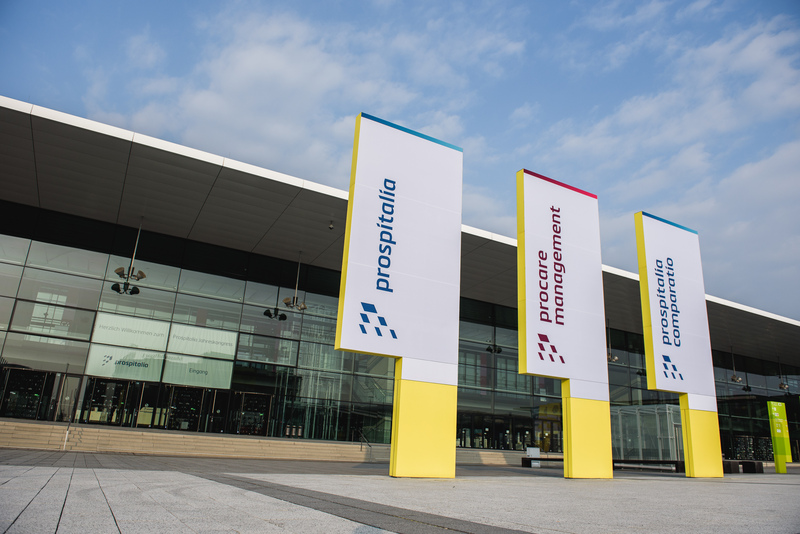 Together with its subsidiaries, Pro Care Management GmbH and Prospitalia Comparatio, Prospitalia has a purchasing volume of more than 2.4 billion Euro.